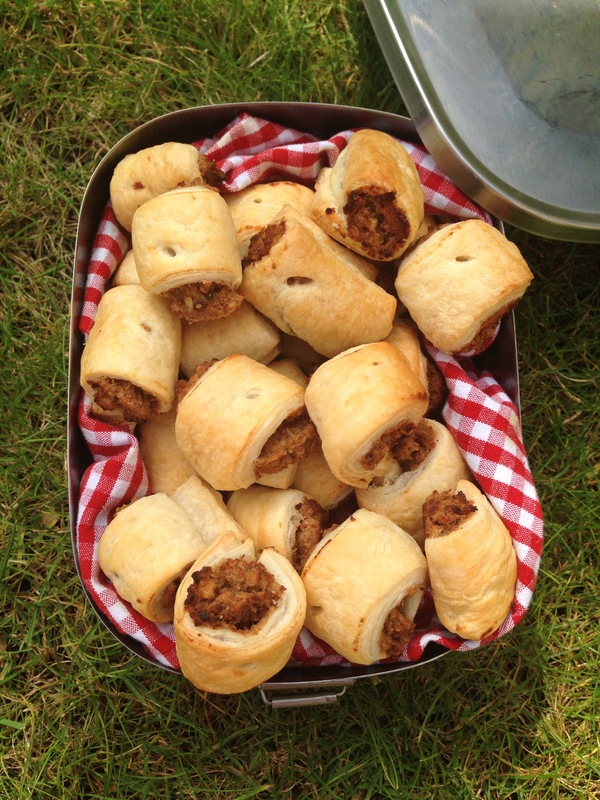 Everyone loves a sausage roll it seems; people can’t keep their hands off those little flaky pastry encased beauties. My vegetarian version seems to go down even better, even to those carnivores. We love them so much that I seem to have to make huge batches of them with great regularity! They’re the ultimate little savoury, packed with oodles of umami flavour that I’ve never had anyone not ask for a second. They freeze beautifully, so they always feature in our picnics and parties, and are always the highlight of those busy nights when after school time is packed with activities and supper has to be a quick on-the-go grazing affair.. When the lovely people at Tanners wine merchants asked if I wanted to review some wine for them, giving me a choice of any bottle from their favourites, I leapt at the chance to do some wine pairing with food. The delicious 2014 white burgundy they sent me was produced especially for Tanners by Cave de Vire in Burgundy’s Maconnaise region. This superb, slightly buttery wine made from only Chardonnay grapes gave me plenty of thinking when it came to food pairing. I was initially considering of a tomatoey polenta based dish but d it was these little flaky, tangy veggie ‘sausage’ rolls which seemed to suit the fine greengage aromas, with hints of ripe melon and white currants. I’m not a wine expert but we thought the match was seemed perfect, and would be great on a picnic. 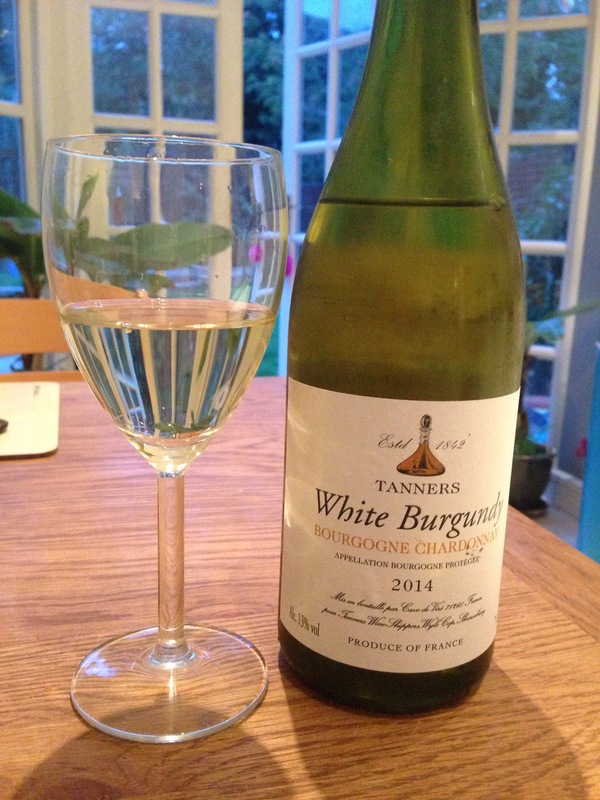 I was extremely impressed with Tanners – their website is packed full of knowledge and goodies and their customer service was second to none – I’d thoroughly recommend them for online wine purchases. 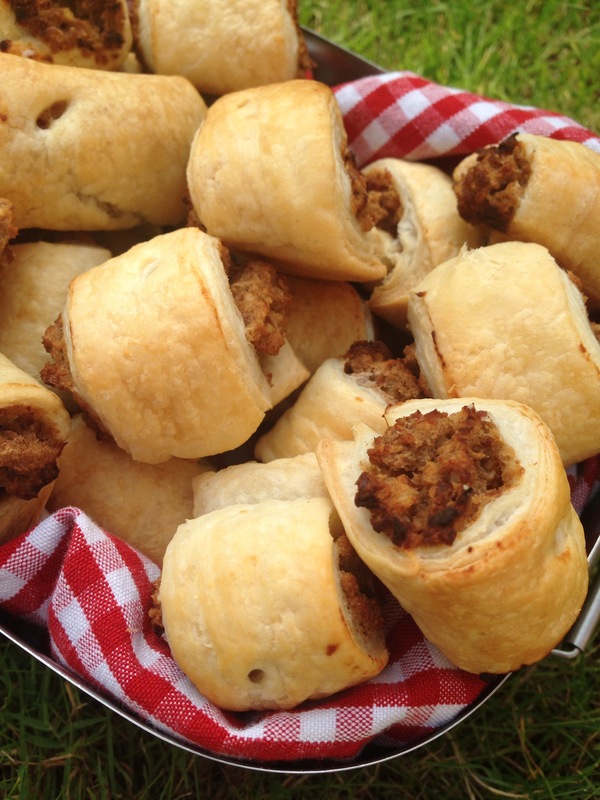 Even if you don’t try the wine, try my veggie sausage roll recipe, it’s a winner. In a food processor blend the beans ( or mash with a potato masher). Add the breadcrumbs, onion, apple and flavourings. Taste and adjust flavours. Roll out the puff pastry into a large rectangle. Cut into a 3-4 inch wide strip. Make a neat line of filling about one inch in from the edge of the pastry. Brush one side with oat milk. Roll over the pastry to form a ‘sausage’ connecting the dry pastry with the oat milk brushed side. Cut into 1 inch long saga rolls. Place on a baking sheet that has been sprinkled with water. Brush with dairy-free milk. Bake for 10-15 minutes, or until golden. When cooked, cool on a wire rack. Eat or freeze. Next Post Mini cheddars, dairy free! Great idea! 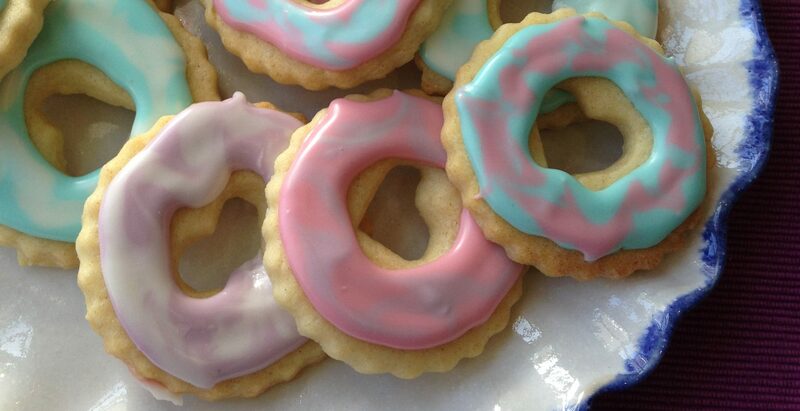 Looks like a perfect snack for a picnic! They really are perfect for a picnic, or almost any other time too!! I am definitely going to try this in a gluten free way. Thank you! And the wine sounds lovely! Oh homemade sausage rolls, you can’t beat them. Hey remind me of Christmas, too early I know , sorry. Love this recipe – a good reminder of how vegetarian versions of meaty dishes can be just as tasty! 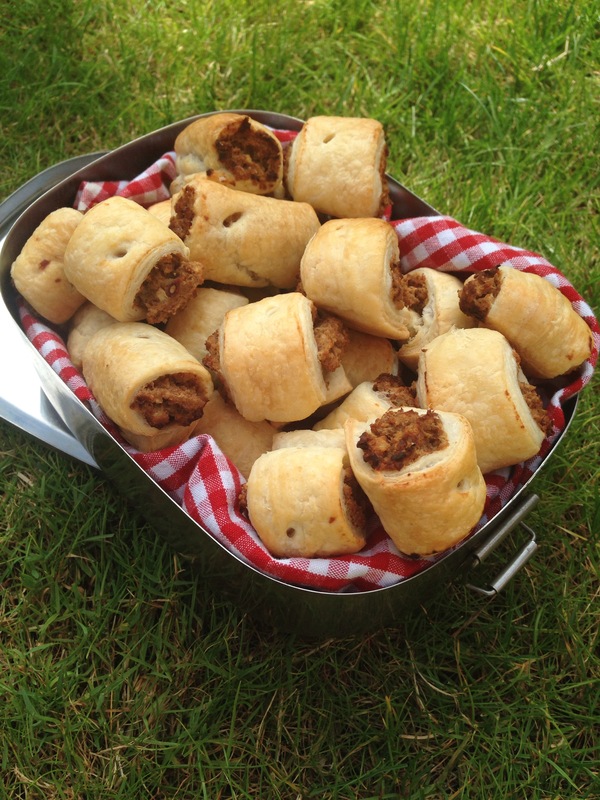 hmmmm sausage rolls without sausage… mind you yours do look good!